Lucy Daniel Raby is an award winning writer with a long background in children’s TV, including BAFTA winning shows Shaun the Sheep and Angelina Ballerina. She also created her own show, Big Kids, for CBBC. The title is currently in film development with Gatehouse Productions, Lucy as script editor. I read this book out loud to my 3 kids (1 + twins) over a couple of weeks at bedtime. They loved it, as did I! It’s a forever book, for all ages. I felt transported to another world. I can’t wait to read it to my grandchildren when they get a little older. A great stocking filler, my daughter loved it! My 7 year old twins are enthralled….. 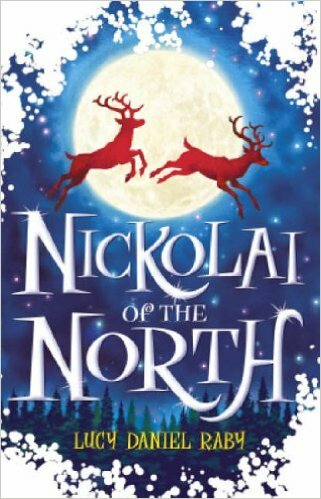 Surely the best novel for children, and not only for Christmas! Such a fabulous Christmas adventure full of fun, danger, magic, and love. Lucy is an amazing writer .This is a book all kids should read ,and iits good fun for adults too.